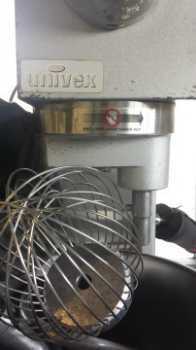 Univex Corporation Univex Corporation has grown to become a leading U.S. manufacturer and distributor of superior quality mixers, slicers, dough processors, ovens and prep equipment for the restaurant, hotel, pizzeria, bakery, catering and institutional industries. Univex products are well known for their rugged engineering that keeps them running for decades and solid innovation, including critical safety features that have become the industry standard. Univex has sales offices throughout North America as well as a network of over 1,000 dealers who supply Univex equipment to tens of thousands of food service operators worldwide.